There’s something I love about Chelsea Market. Located in New York City’s Meatpacking District, it’s housed in an old brick National Biscuit Company building that spans a full city block. The Market is full of interesting old architectural details, as well as a variety of food establishments and small shops. It can be a lot of fun to explore, but I avoid it on the weekends. 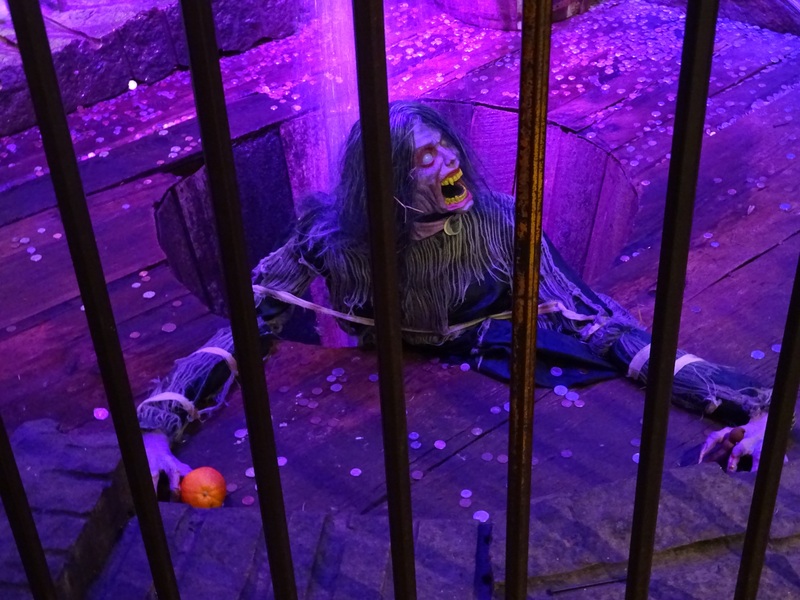 Out-of-town visitors flock to Chelsea Market on the weekends, making it almost impossible to appreciate the variety of things the Market has to offer. I prefer going on weekdays, primarily Monday through Thursday. 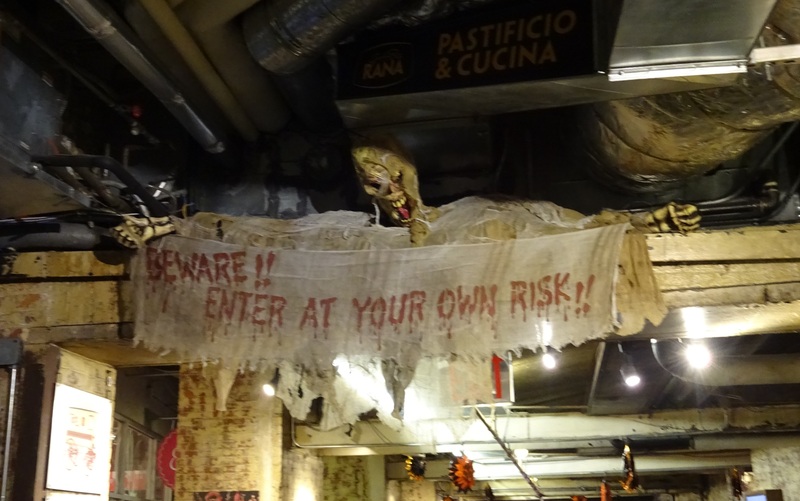 Chelsea Market is much quieter early in the day, but there are some restaurants that may be better enjoyed in the afternoon and evening. One of the main reasons people go to Chelsea Market is for the variety of delicious food options, from vegan sushi (yes, that’s a thing!) to lobsters, and everything in between. Here are a few of my favorites (although not a complete list). 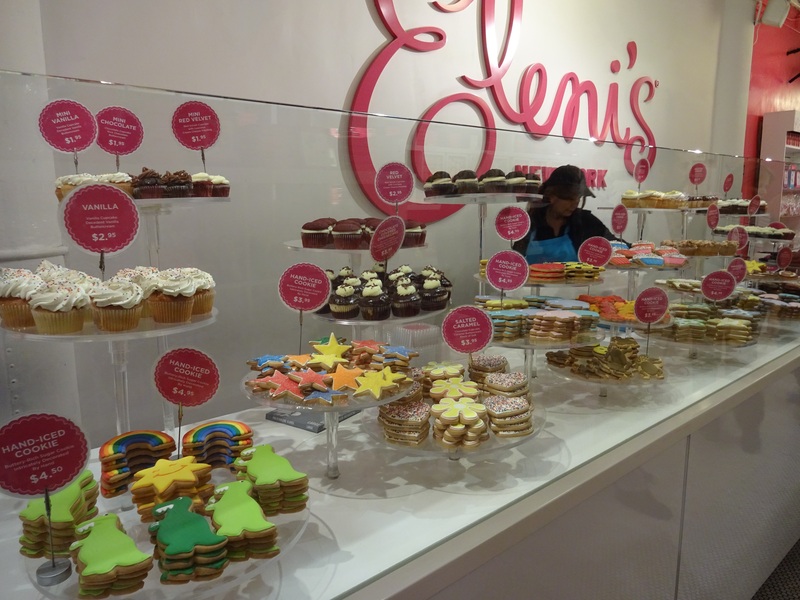 First, I love the cookies at Eleni’s New York. 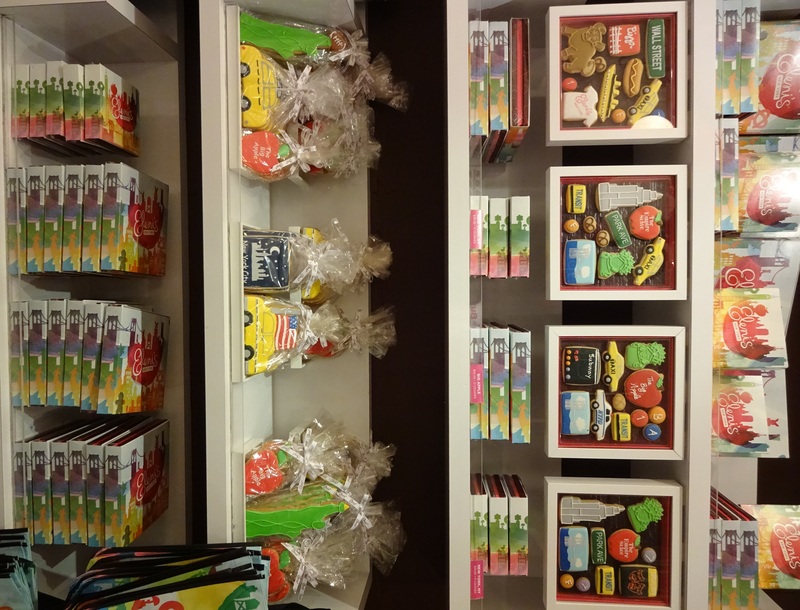 Not only are the cookies delicious, but they also make great gifts! 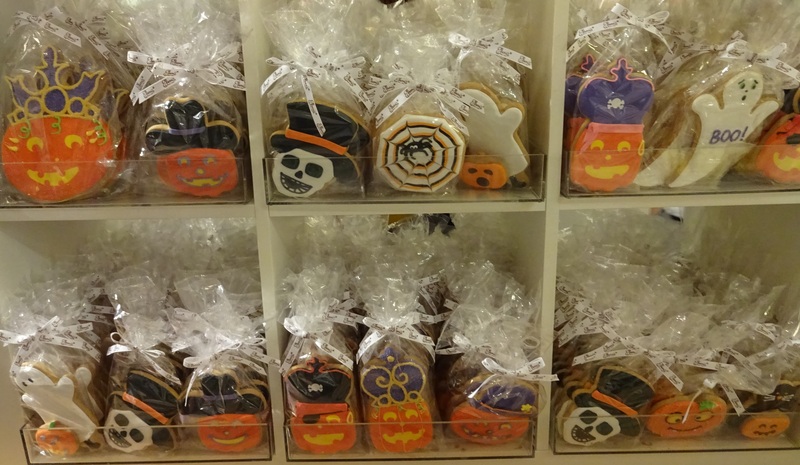 Right now, they have some fun Halloween-themed cookies in the store, but they always have their New York City-themed cookies as well. Another favorite: The Lobster Place. In part, the Lobster Place is a seafood market, where you can buy fresh seafood to prepare at home. But it is so much more. There’s a walk-up window where you can buy lobster rolls (or even complete picnics for the High Line), associated with the Lobster Place’s restaurant, the Cull & Pistol (more on that restaurant coming in another post). 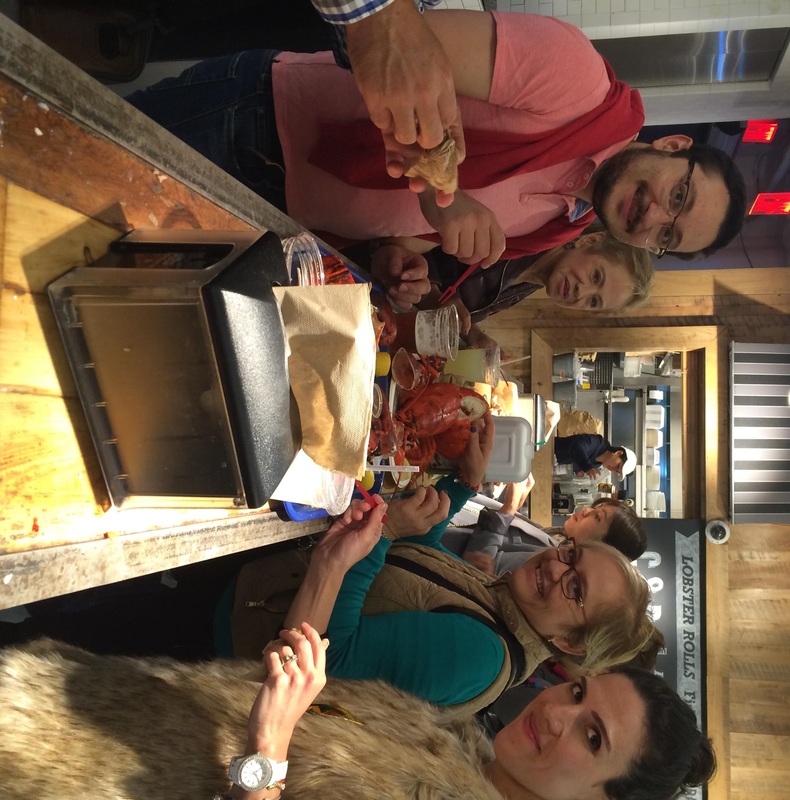 Most popular with visitors, however, are the whole lobsters cooked fresh to order. The market is jammed full of people standing at tall tables while they tackle their lobster lunch or dinner. 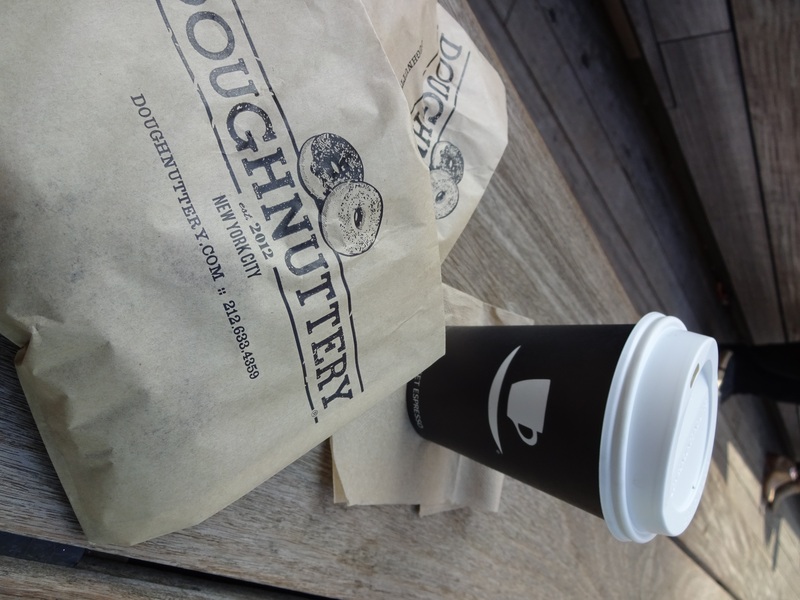 And I have to admit that I love the fresh doughnuts from the Doughnuttery, especially paired with the coffee from Ninth Street Espresso. At the Doughnuttery, you can have your hot doughnuts tossed in a variety of flavored sugars. My current favorites: Cacaoboy (flavored with cacao nibs, chocolate cookies, and mesquite), and Purple Pig (flavored with maple, purple potatoes, and bacon). The mini doughnuts go well with Ninth Street Espresso’s rich, complex coffee, which is less acidic than the leading chain coffee store’s coffee. Together, they make a great snack for a walk on the High Line. 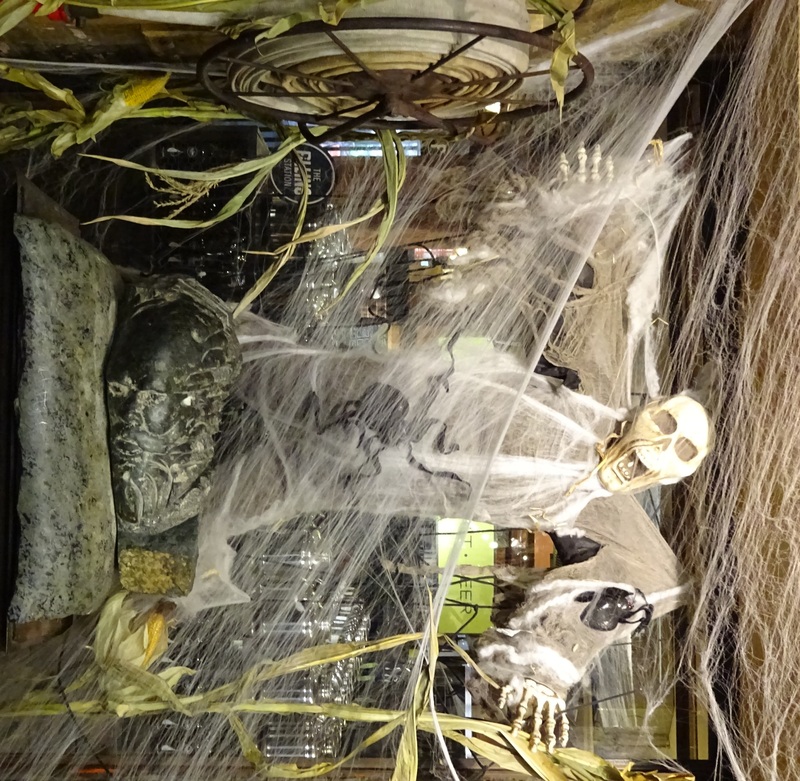 Chelsea Market also has some other great shops. 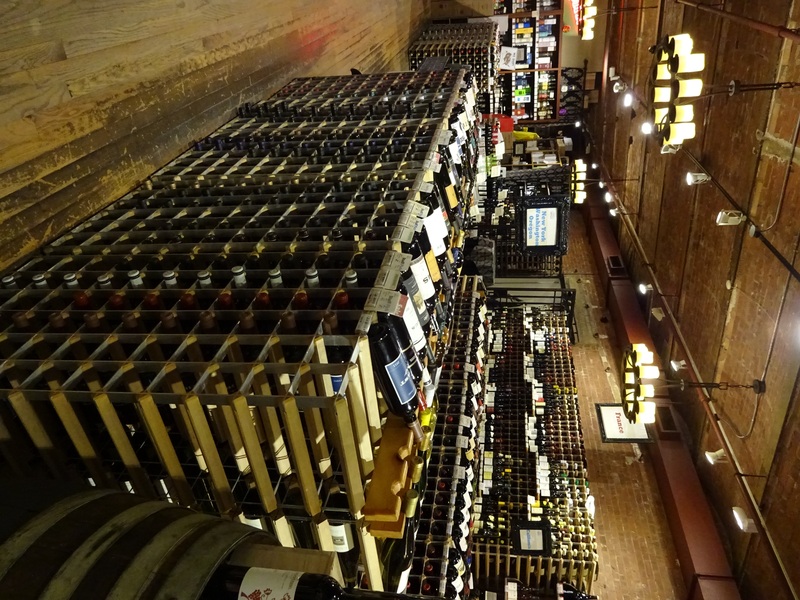 I enjoyed exploring the Chelsea Wine Vault, although the last time I was there it was a bit early to taste wine. They offer some intriguing tasting events and special classes about wine–I may have to check one out some time. If you want a bottle of wine chilled, they can have it ready for you in only 4 minutes. 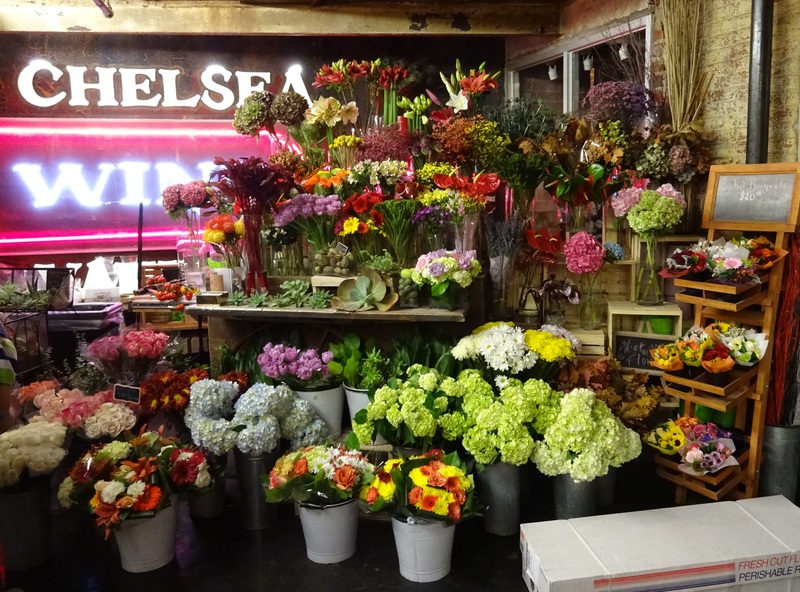 There’s also this gorgeous flower shop in the middle of Chelsea Market, associated with Mrs. Bloom’s Mobile. 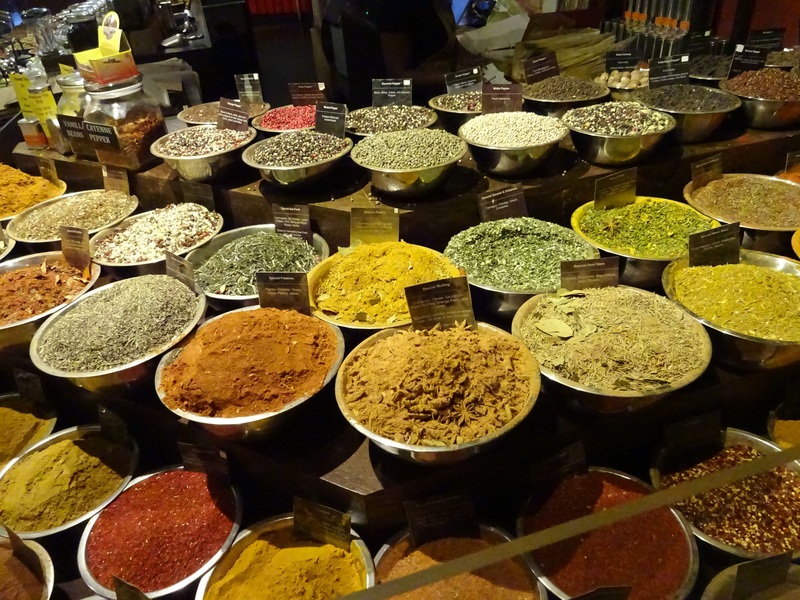 Visually, the little shop Spices and Tease always draws me in, with its vibrant display of spices and teas. 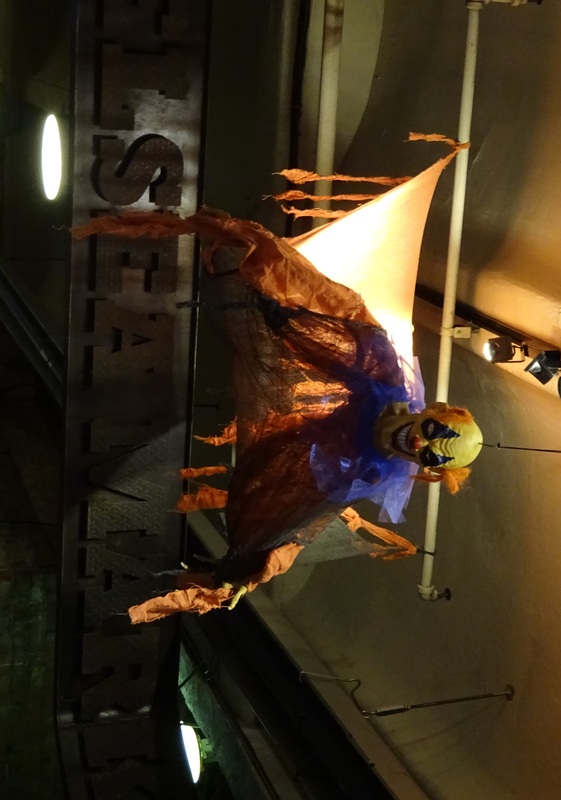 Finally, Chelsea Market also has it’s own outpost of Artists & Fleas–but I’ll talk more about that in my next post! 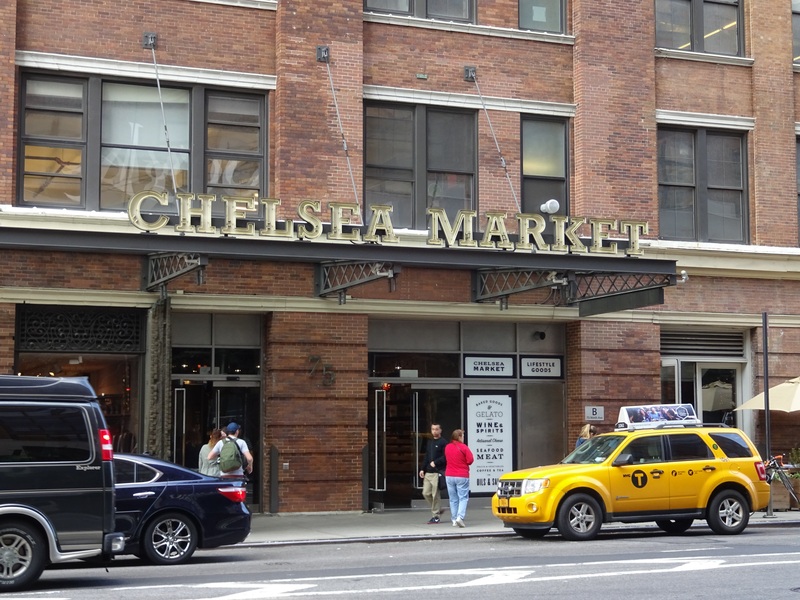 Tips for getting to Chelsea Market: Like pretty much anything in Manhattan, the best way to get to Chelsea Market (and the most cost-effective way) is by public transportation. 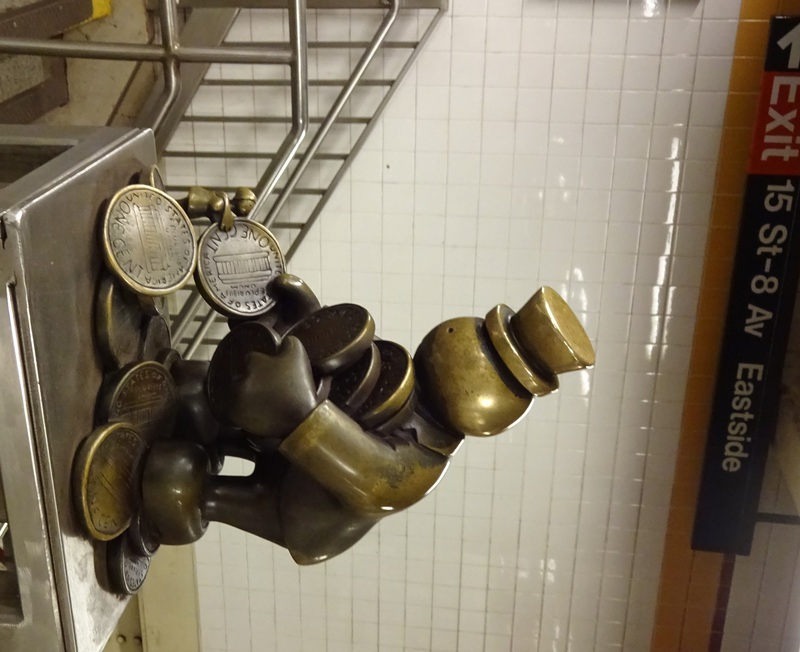 You can take the A, C, or E to the 14th Street station, or the L to the 8th Avenue Station (these two stations are actually connected). From there, it is only a couple of blocks to Chelsea Market. There’s also one added benefit to taking the subway there. 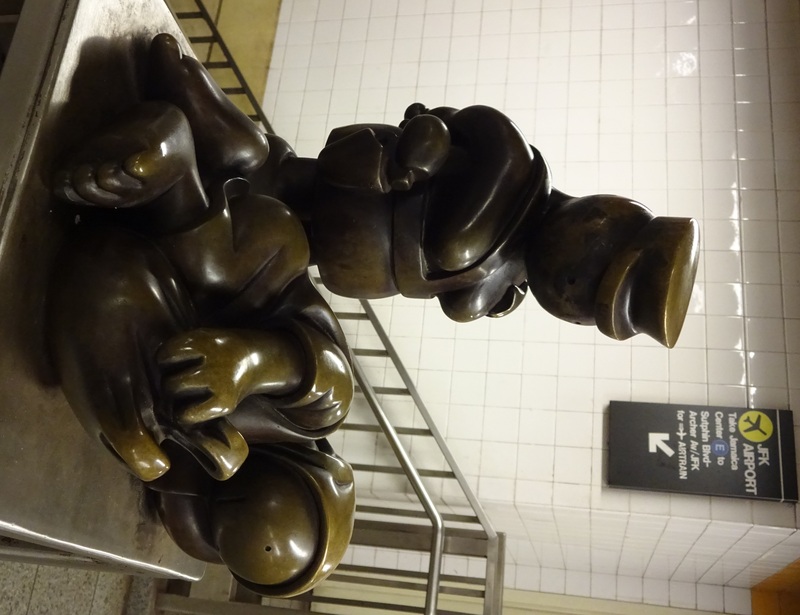 There’s a really interesting art installation in the subway station by artist Tom Otterness called “Life Underground.” The small bronze sculptures are scattered throughout the station, and you may find them in unusual places. Here are a couple of photographs of my favorites.